NFL Leather Football Bracelet. Brand new never been used. 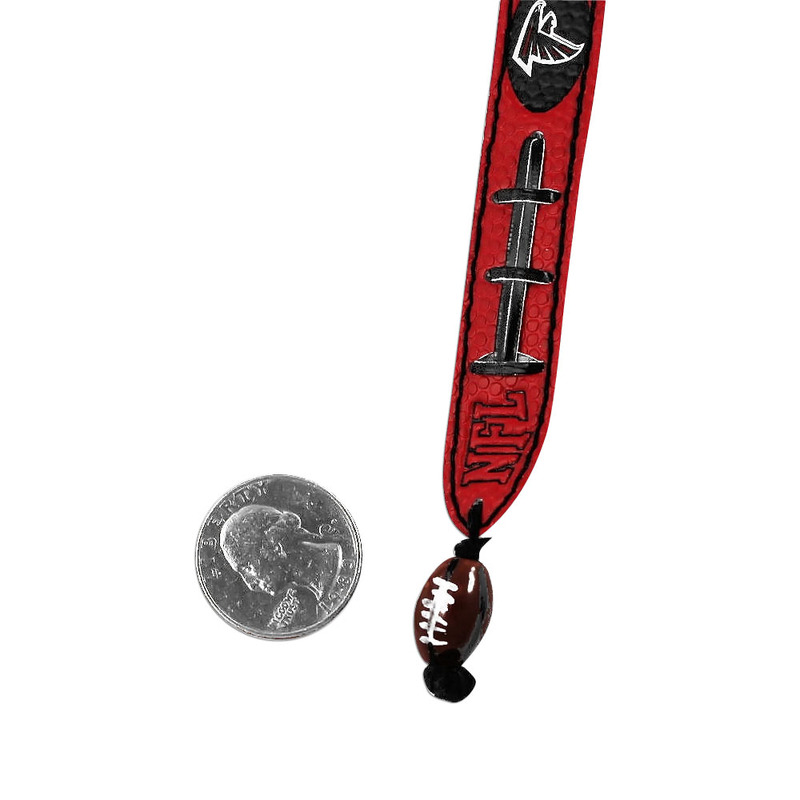 5/8" wide 6" long Football charm used to attach the bracelet. You will not be disappointed with this product. Great for any sports fan. Official product of NFL. • Color: Officially licensed logo and colors. • Brand: Officially licensed NFL GameWear items. • Size: 6 inches long 5/8 inch wide. • Product: Leather Football Bracelet.